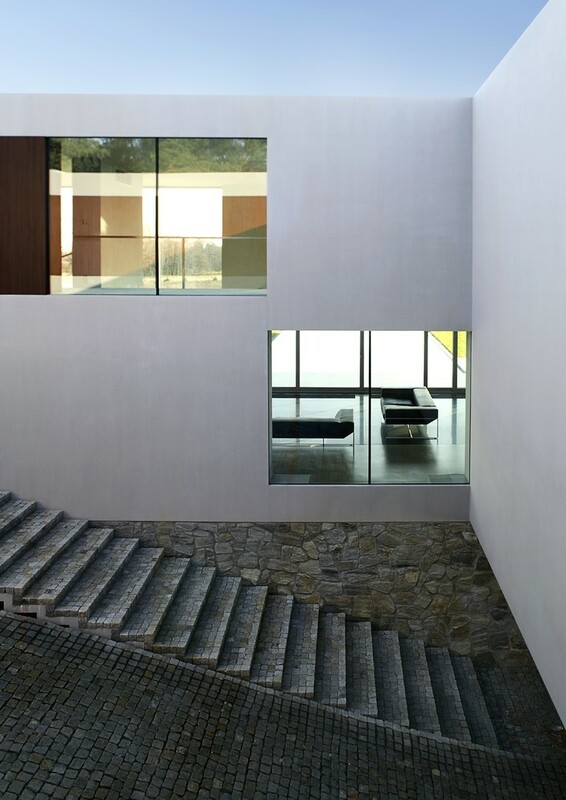 A beautiful example of restrained minimalist modern architecture that would get Mies van der Rohe's nod of approval. 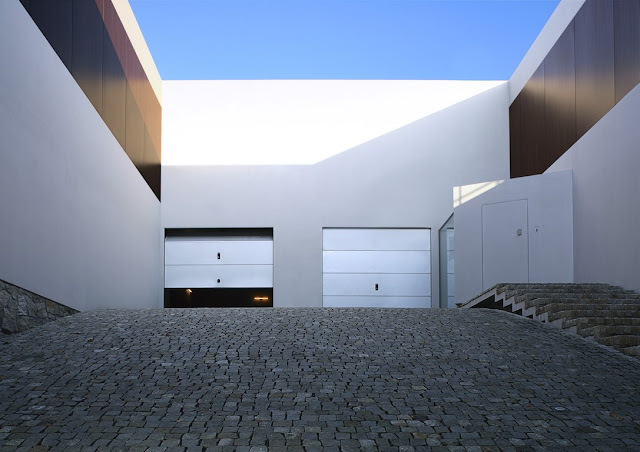 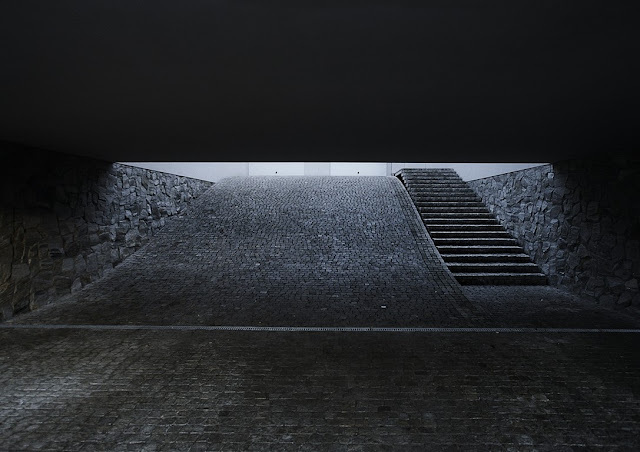 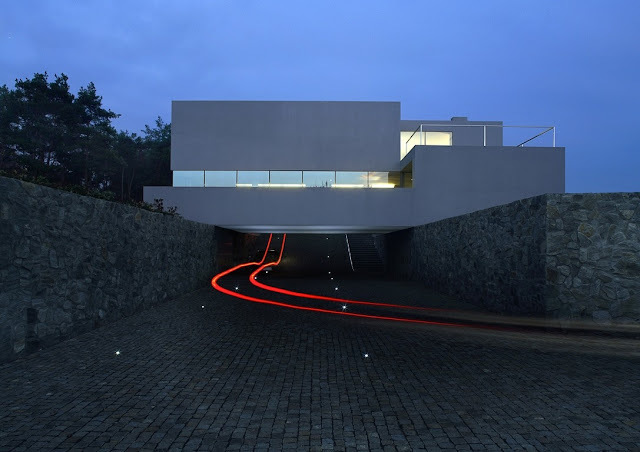 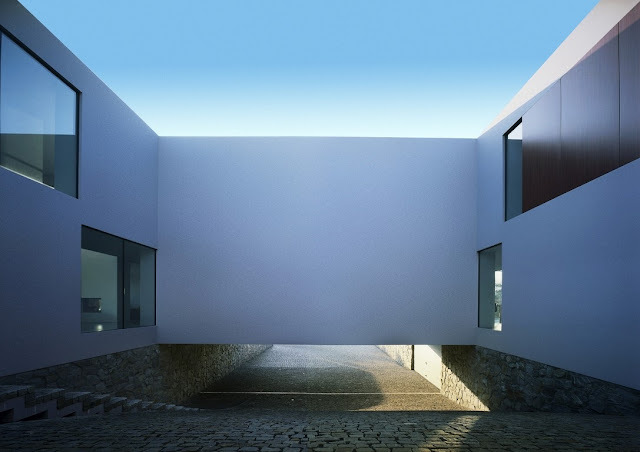 We like the free-flowing driveway as well, very Oscar Niemeyer. 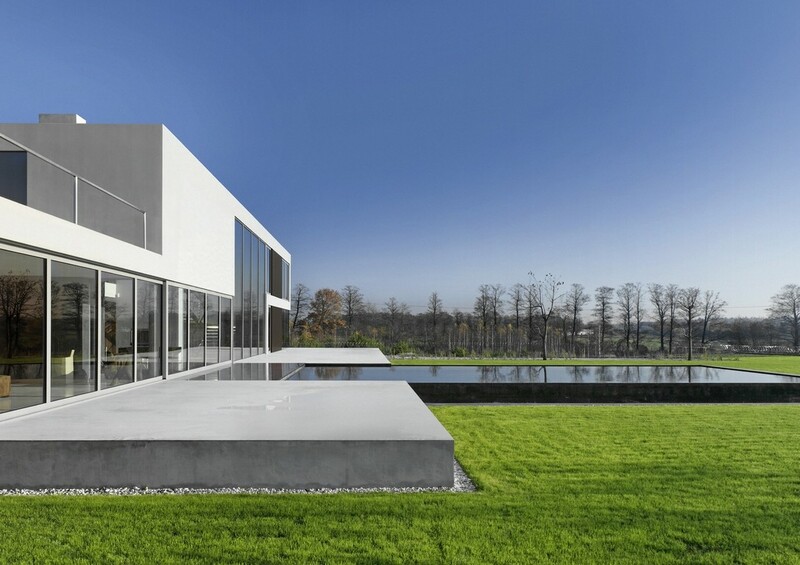 The Aatrial House is an ultra modern house designed by Polish architect Robert Konieczny and constructed by KWKPROMES in Poland.